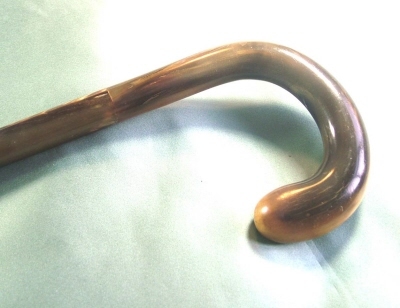 Excellent quality blonde horn crook handle cane.Internal metal rod supporting the horn sections. The base of the cane finished with a base metal ferrule. Lovely original condition, free from breaks or cracks.